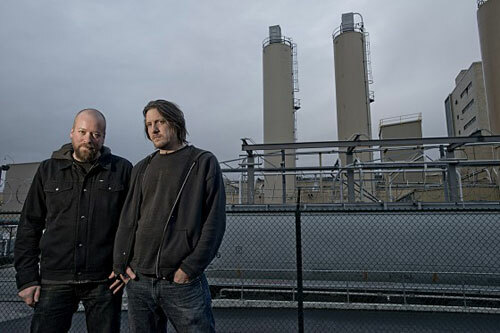 The second LP from Portland’s apocalyptic bass-and-drums duo TOWERS, aptly titled II, will be released next month as part of Eolian Empire’s continuing mission to foist the great unwashed Portland heavy underground on a now suspecting public. TOWERS formed in 2010 after the demise of psych-garage act The Troglodytes, and by melding elements of doom, no wave, new wave, industrial, noise rock, and soundscapes into rough-hewn monolithic monstrosities simultaneously disturbing and tantalizing, the twosome has dragged and scraped chunks and shards from all the darkest sonic territories to assemble a heavy monster in its own image. Both primitive and futurist, TOWERS transcends musical movements, molding Promethean monoliths out of doom, sludge, no wave, new wave, industrial, and psychedelia. 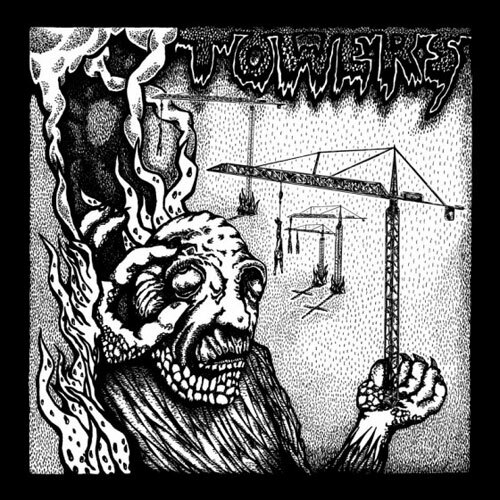 Recorded in full analog, at the same studio as the Shins and Decemberists, no less, TOWERS’ second LP II is a Cremaster cycle of droney dirges, rapid-fire blasts, Lynchian soundscapes, and deviant hooks set off by barked orders, snarled decrees and haunting laments. The album starts off with a furnace growl, an ancient machine coming to life as each crooked limb cracks and stirs before being suddenly thrown into gear with a grinding off-kilter bass loop. Over thirty-six minutes II purposefully shifts through a procession of primal mutant grooves, oscillating hooks, sludgy crawls, cavernous experimental explorations, and haunting, swinging marches marked by the barked Teutonic invocations—Hell is coming! —and ghostly incantations of the wounded and beaten. II is a huge, enveloping beast of a record that captures the unique crushing intensity of their live sets. Outsider Portland label, Eolian Empire, is loading this devastating ammo into the cannons for their planned February 11th offensive for II, ready to bust out the goods on quality 180-gram wax and digital. Just days before, on February 7th, TOWERS will raze their surroundings with a release show for their new works, with support from first-wave Eolian band Order Of The Gash and first show from Left Blank (ex-Black Elk, Rapids).